LUNDBERG MEDIA is a content and engagement company specializing in CIOs and digital business. 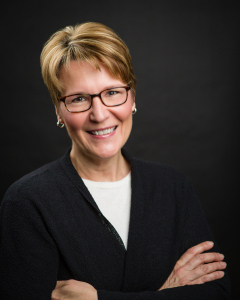 The company is led by Abbie Lundberg, a business technology analyst, author and professional speaker with over 25 years’ experience reporting and commenting on the use of technology in business. Part of the founding team at CIO magazine, she served as Editor in Chief for 13 years and continues her affiliation as a Contributing Editor. Abbie delivers world-class thought leadership through her research and writing for such clients as Harvard Business Review Analytic Services, where she is a Contributing Editor, and the MIT Sloan School of Management’s Center for Information Systems Research (CISR), where she was part of a team studying the involvement of boards of directors in digital business issues. A popular speaker, Abbie regularly delivers keynote presentations at CIO conferences in the U.S. and abroad. She moderates industry events and leads dozens of CIO roundtables and dinner discussions every year. Abbie has devoted her career to advancing business through the effective use of information technology. She has testified before Congress and worked with the FBI and Secret Service (an unprecedented collaboration at the time) to develop a set of recommendations for information sharing around cyber security and critical infrastructure protection. B2B Media Business named Lundberg “Top Editor” for its inaugural Innovators Award in 2004, and she has appeared frequently on Technology Marketing magazine's list of Top Journalists and Media Influencers. Under her leadership, CIO received over 230 editorial awards for both print and online, including the Grand Neal, American Business Media's top honor, in 2003 and 2004; Best Website from ABM in 2006; Best Online Community from the American Society of Business Publication Editors in 2003, and Magazine of the Year from ASBPE in 1999 and 2001.